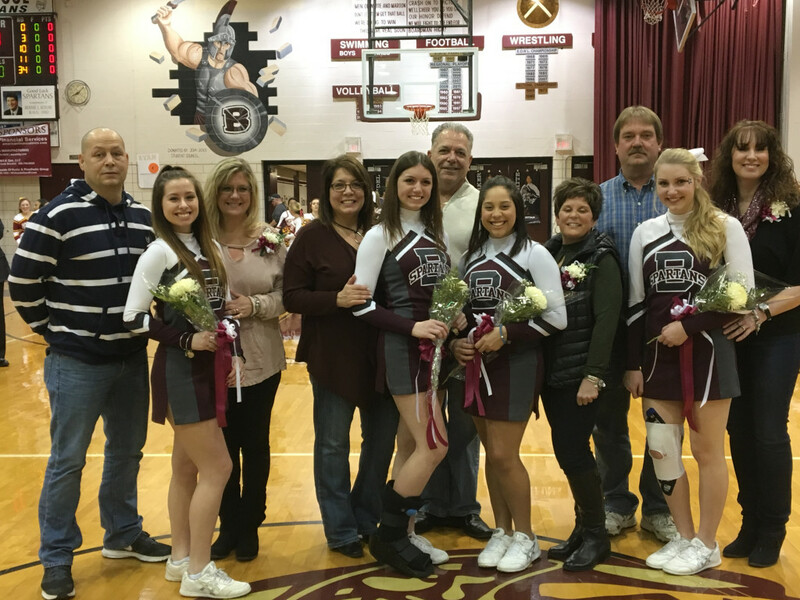 Four senior cheerleaders and their parents were honored before the last home basketball game of the season. The seniors include from left to right: Emily Parker, Savanna Dempsey, Marissa White, and Amanda Bendel. Thank you girls for your support all year of our football and basketball teams.